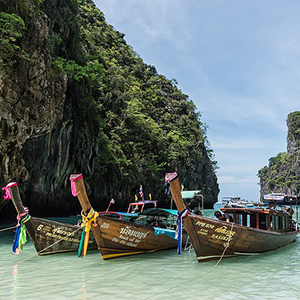 Highlighting Thailand's rich history, fascinating culture, and religious monuments, this Thailand tour includes overnights in Bangkok, Kanchanaburi, Ayutthaya, Phitsanulok, Chiang Rai, Chiang Mai, and Phuket. This tour through Thailand includes visits to some of the cities that have served as the country's capital: Bangkok, Ayutthaya, and Sukhothai. In Bangkok-Thailand's current capital-visit the Temple of the Golden Buddha; the Temple of the Reclining Buddha built in 1832; and the Grand Palace, the royal residence begun in 1782 where you'll see the Emerald Buddha, Thailand's most sacred Buddhist sculpture. In Ayutthaya, Thailand's ancient capital, your sightseeing includes a visit to Bang Pa-In Palace, which was built as a summer residence for the Kings of Ayutthaya. In Sukhothai, Thailand's 13th-century capital, visit Sukhothai Historic Park, a UNESCO World Heritage Site with ruins of palaces, temples, and homes. 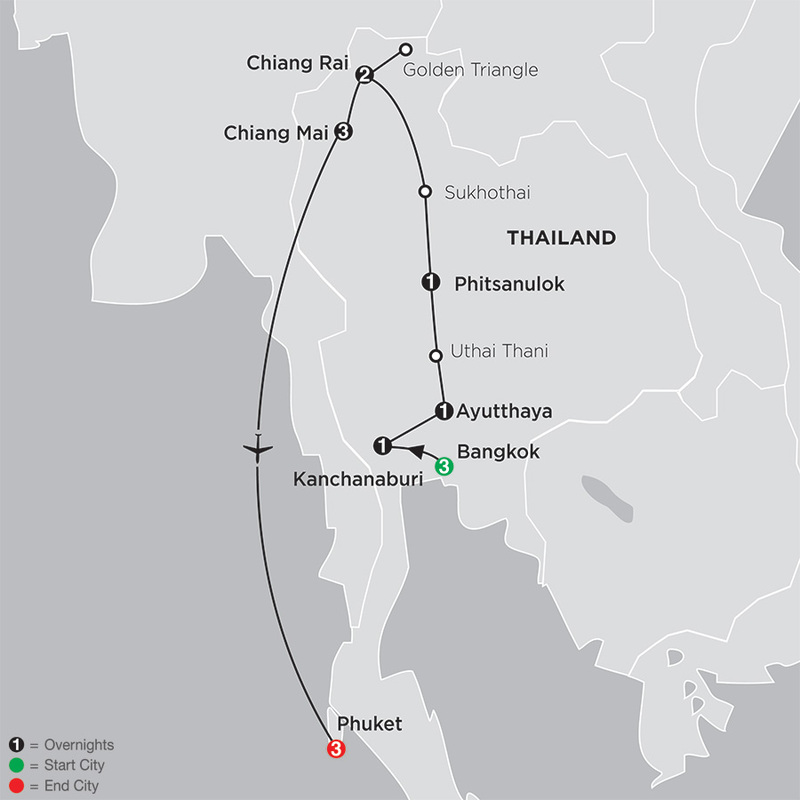 But that's not all…visit the "Golden Triangle," where Thailand, Laos, and Myanmar meet, and take a train ride over the famous River Kwai Bridge, part of the infamous Death Railway built by prisoners during World War II. Visit Hellfire Pass Memorial, which houses a museum detailing the life of the Allied prisoners and Asian laborers who helped build the railway. You'll also spend time at an elephant sanctuary, where over 30 elephant's room freely in a sustainable environment free from mistreatment.